What Other Features Do We Like On the HC1850? Who is the Brother HC1850 For? Brother has always made great sewing machines; this sewing and quilting machine is no different. This latest creation is not only affordable but has enough features to be great for all levels of user – from beginner to professional. The Brother HC1850 Full Disclosure: We earn a commission if you click this link and make a purchase, at no additional cost to you. sewing machine combines the best features of sewing and quilting to bring you a machine which is accessible and easy to use. We had the pleasure of trying this machine and found a lot which we liked about it. The machine is easy enough for beginners to be able to set up and use with ease while having some advanced features which expert users will appreciate. Let’s take a look at some of the things we liked. Brother HC1850 Price: $190.00 "The price is very good for a computerized machine that does so much." 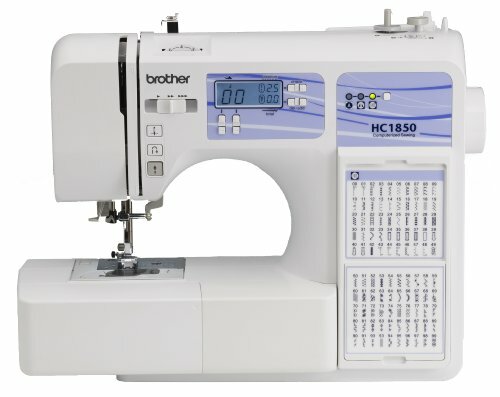 With 130 built-in stitches, the Brother HC1850 falls somewhere in the middle regarding the number of stitches you have at your disposal. 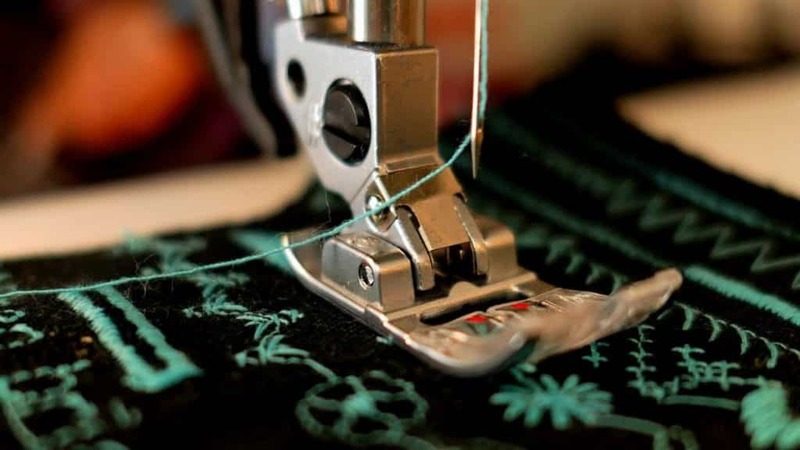 For the money you pay, you are getting a lot of stitches, and certainly more than you need if you are getting started with a sewing and quilting machine. Included in those stitches are 8 styles of 1-step automatic buttonholes. If you are adding buttonholes to your fabric, then this machine is amazing. With the numerous included stitches, are special quilting stitches. You have 14 quilt stitch options, giving you plenty to work with. Beginners and advanced users will find that this is enough to complete most projects. Along with the stitch options, you also get a free-motion quilting option and a detachable table which will give you a larger working area. Having a machine which is quick is handy for quilting as you want to be able to get through your larger projects quickly. This machine stitches at 850 stitches per minute. Compared to other machines on the market, you will find it almost impossible to find a machine which can stitch as fast for a similar price. This machine is one of the quickest and most affordable which we have found. The adjustable sewing speed is beneficial to new users. It can be hard to work at top speed all of the time, and having the adjustable speed lets you start slow until you are more practiced at stitching. A monogramming font allows you to add lettering to your work. This is great for adding a personal touch to your quilts or other sewn work. The automatic needle threader is a must for beginners, though every user will benefit from getting their projects started quicker. When you get a machine with so many stitches, there are a couple of options for dealing with presenting the stitches. Most sewing machines will have a separate booklet with all of the stitches and, while this is handy, you can often misplace the book. This sewing machine from Brother has all of the stitches on the side of the machine; a fold-down flap means that all of the stitches are displayed in a compact area and are still easy to read. You will never misplace the stitch guide so will always know which stitch you are looking for. This is an easy machine to set up. Beginners will be able to get started with their work in record time while intermediate and expert users will love that they can get started on projects almost immediately. There is an instructional DVD which comes with your machine. The DVD gives you detailed instructions for setting up the machine, including visual guides which everyone can follow. Threading the machine is easy. All you need to do is fill it with thread, remove the bobbin plate, and drop in the bobbin. Once you have done this, you can pull the thread through the sewing machine, and you are almost ready to go. The automatic needle threading system will take care of the rest for you. An LED screen makes it easy to see and select your stitches. From the moment you turn on your machine, you will be able to see what stitch is currently selected and select a new one if needed. A speed-control slider makes it easy for beginners to control the speed of the machine. Most new users want to start at a lower speed and work their way up as they become more adept at sewing and you can do that with this machine. You can work up to the top speed of 850 stitches per minute. If you bought this machine, then you probably want to do some quilting with it. We love how easy this machine makes quilting. You have 14 stitches built-in which will make quilting a breeze. You also have a large detachable table which will give you more room for quilting. The free-motion ability makes it even easier once you have had some practice. Brother has created the HC1850 Full Disclosure: We earn a commission if you click this link and make a purchase, at no additional cost to you. to be accessible for everyone. If you are looking for a machine which can quilt and sew, then you have found just that machine. If you are working on your personal projects at home, this is the perfect machine. It is affordable and easy to use. While you can get a lot out of this machine, we would not recommend it for those who are strictly expert users or those who want to start their own business. The machine is great to use and comes at a great price but does not have some of the more advanced features that other machines do. This machine is better for personal projects than professional. We like the Brother HC1850 sewing machine, especially with its price tag. It falls somewhere in the middle regarding quality and function. We would not recommend it for complete beginners. If you are starting out and want something a little more basic, the Juki HZL-f600 Full Disclosure: We earn a commission if you click this link and make a purchase, at no additional cost to you. sewing machine is worth looking at. If you want to go in the opposite direction, then the Juki TL-2000Qi Full Disclosure: We earn a commission if you click this link and make a purchase, at no additional cost to you. sewing machine will give you the advanced features you will need if you are working on advanced projects or professional projects. 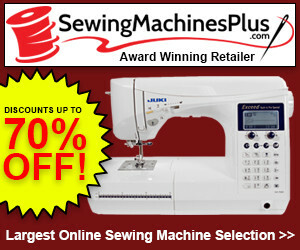 You get everything you need with this machine to get started with sewing and quilting. Our only recommendation would be to buy a larger detachable table. This is only if you are going to be doing some large-scale quilting. The included table gives you plenty of room, but more room is never a bad thing. If you’re looking for a good quilting and sewing machine, this is it. The Brother HC1850 Full Disclosure: We earn a commission if you click this link and make a purchase, at no additional cost to you. is not the most basic machine, so it is not the best one out there for beginners; nor is it the most advanced, so it is not the best machine for professionals. What this machine is, is a great all-around sewing and quilting machine. All user levels will get something out of this. We would highly recommend it to anyone who has mastered the basics of sewing and quilting and wants to upgrade to a better machine. The Brother HC1850 sewing machine came in at #9 in our Best 12 Sewing Machines List. Here’s the full list, including the other 11 sewing machines. The following links will take you to the review of each machine. Brother HC1850 Full Disclosure: We earn a commission if you click this link and make a purchase, at no additional cost to you.